This system ensures quality control on 100% of production and is used to perform consistency checks on the correctness and variable data printing on packaging, forms of copy paper as postal forms, newsletters etc., multi-sheet documents such as invoices, bank statements, etc. In addition to performing quality checks on printing graphics, logos symbols, text elements, data Matrix and bar-code, AceFormChecker implements cross-checks of congruence between the information on the individual pages of the document. Check that such amounts, account numbers, invoice numbers, etc. 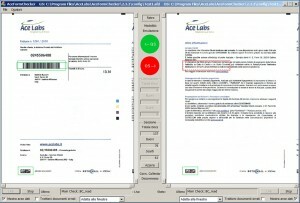 are correctly printed, legible and consistent within the same document. 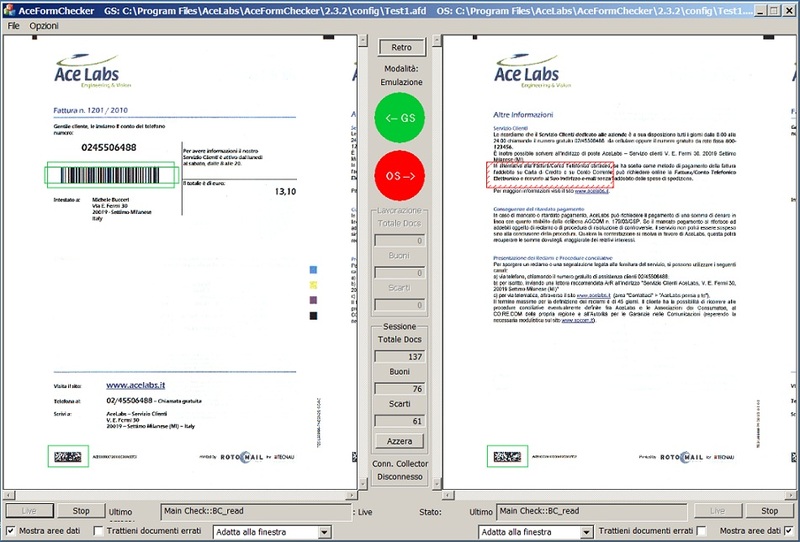 Unique features of AceFormChecker are simplicity and rapidity with which changes are made production, processing speed up to 240m/min demonstrated on a double sheet of A4 paper, the ability to communicate the results of the single to a system of supervision and control of line, the ability to store and archive your documents processed. The high performance (up to 360.000 modules/h) and an extremely compact thanks to its special optical configuration of the inspection team, make this system the ideal solution for installation on newer systems and performance, both on the least-date, which does not natively integrate a vision system.